Sara F has had Lyme for about ten years now, but didn’t have a confirmed diagnosis until the beginning of December 2016! Can you believe it? Unfortunately, many individuals go through this situation. For those who may not know, Lyme disease is one that is living under the radar–there are so many patients out there who have it, but are not correctly diagnosed until much later on. 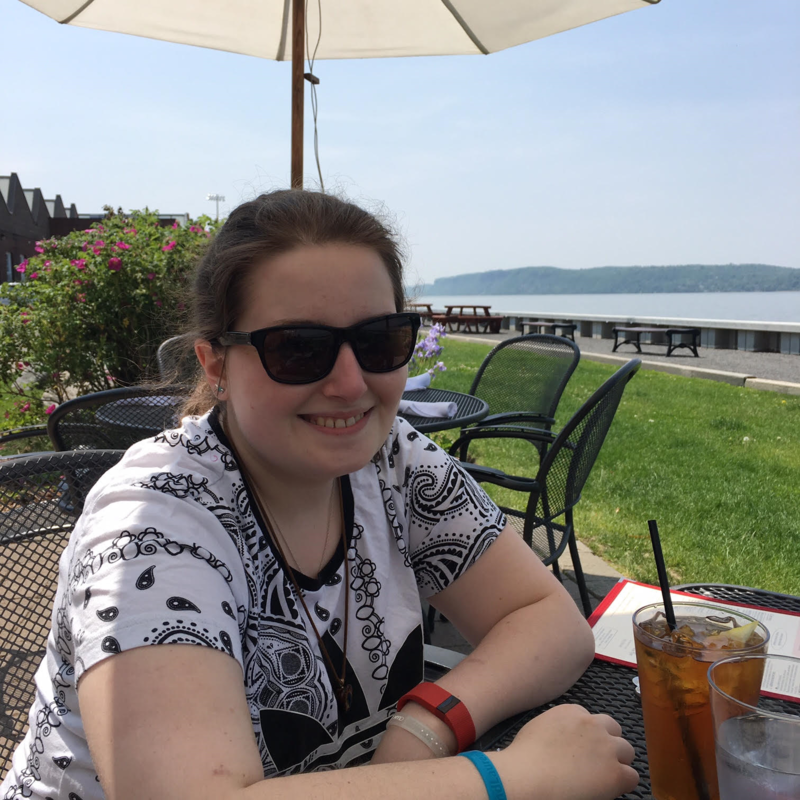 From 6th grade and on, Sara experienced a whirlwind of symptoms, from fatigue to weight gain, to hyperthyroidism, to everything else you could possibly imagine that comes with Lyme. She was too tired to focus on school work and didn’t have enough energy to continue sports. Looking for answers, Sara shuffled from one doctor to the next. 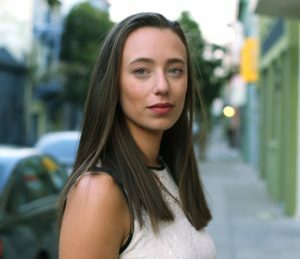 Even after visiting more than 20 doctors, she always received the same response: “you’re overthinking it, it’s just anxiety.” This is the same story that a lot of patients with Lyme face. Thankfully, Sara received her Lyme diagnosis, so she is on her way through treatment. One of the most important things for a patient of any illness to have when going through treatment is a strong support system. It’s already a struggle to have to fight through illnesses such as Lyme, but not having a support system is something extremely beneficial that many patients do not have. Whether it’s due to lack of understanding or resources, it’s vital that friends and family get involved to make a difference in the process. Because Lyme is an invisible disease, some people can play it off as just “not getting enough sleep the night before” or “being sore from sleeping in a bad position.” In Sara’s case, she made the effort to keep her pain hidden from her friends in college. Although some patients with Lyme may play it off as nothing, it is important to recognize that they are just putting up a front. Just because they aren’t acting sick or they “look fine” doesn’t mean that they truly are. Recognizing that someone isn’t feeling well is an important step in learning to empathize with that person. It isn’t contagious. This is probably one of the most important facts about Lyme. Family and friends may not know much about the disease, so they choose to isolate themselves as a result of being afraid without knowing what they are afraid of. If someone with Lyme makes plans but cancels last minute, it’s because they don’t know how they’re going to feel on a day-to-day basis. Many times (as Sara explained), “I would have to cancel plans an hour or two before because I just felt horrible. The day before I had been perfectly fine, but you never know what the next day is going to be like.” Plans aren’t canceled intentionally to hurt feelings–they’re canceled because there are only a few spoonfuls of energy to give. Patients with Lyme and other chronic pain illnesses may get exhausted from doing simple tasks such as getting dressed or grabbing a snack out of the fridge. It’s important to be patient and understanding in situations like these because we cannot empathize with them and the pain they are going through. There are many other symptoms and disorders that can tie into Lyme. In Sara’s case, she was diagnosed with severe ADHD, learning disability, and depression. Many times it is hard for people to see the bigger picture (which is Lyme disease) because the symptoms can range all over the place. You are forced to grow up and really put your health before anything else. Everyone can spare a day to go to work when they’re sick, but Lyme influences your daily life. Going off to college, Sara realized how tough it was to balance her school life with her Lyme. As a result, she took a semester off during her diagnosis to focus on rest and healing before returning to school in January. 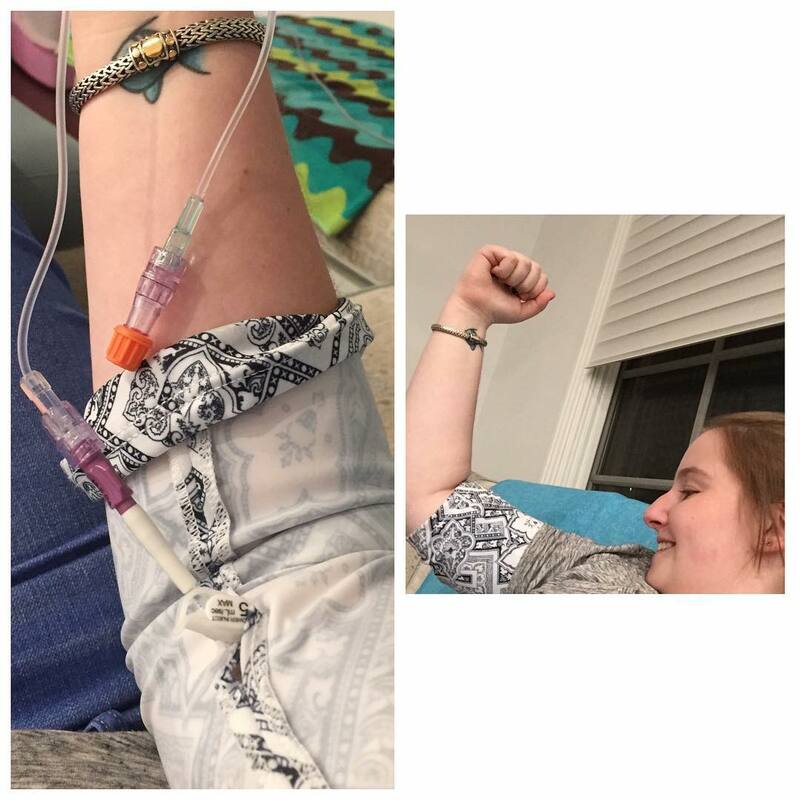 Sara wearing her PICCPerfect Collins to protect her PICC line! Simply sending a gift that could ease their pain can help reduce stress and bring joy. By giving a medical gift, you can ensure that your loved one is getting the help that they need, and you can put your conscience at ease that you are working to make life easier for them as they go through treatment.